For this project, I guided a first time web mapper in how to present the data visually and how to implement that presentation in code. 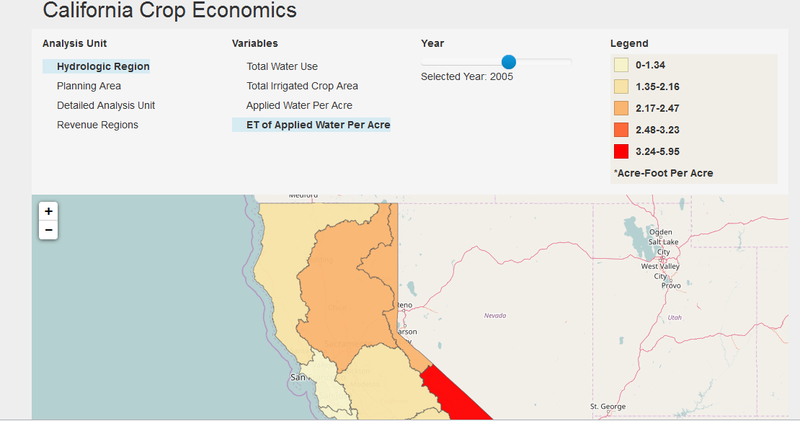 The map uses Leaflet and D3 to provide interactive visualization of California economic data on agriculture at multiple spatial scales, for multiple variables, across many years. View the map online at the Center for Watershed Sciences.